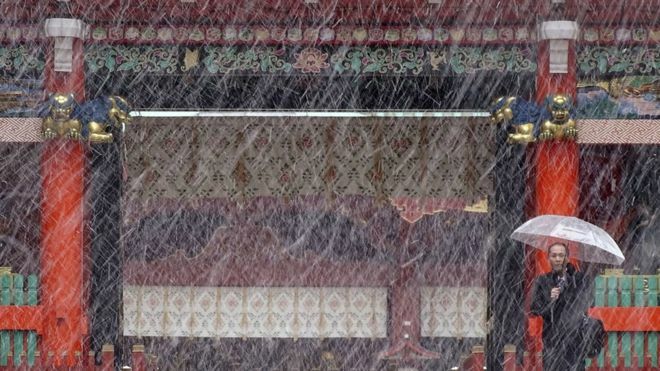 Tokyo experienced its first November snowfall in 54 years on Thursday, BBC reports. The snow was caused by an unusual cold front over the city, but above-freezing temperatures kept the snow from sticking. The unexpected weather meant longer commuting trips because of public transport delays. The Japan Meteorological Agency also warned of possible icy roads, snow on electric wires and trees, and the collapse of plastic greenhouses.